A blocked drain Melbourne can be a serious problem, especially because of the odours that will come from the drain. A good comparison in terms of bad smells can be with the situation in which you are changing a baby’s diapers. The common symptom of a blocked drain is the slow draining of water, which can cause your toilet to overflow. If you decide to fix the problem yourself, this isn’t the best approach. There are plumbing professionals in Melbourne who can do this properly for you. If you still want to do it, it is good to know that such a blockage doesn’t occur so easily. It is usually the result of debris, but it can also occur because of corrosion and other causes. Before you begin, you have to remove the cover and anything that is obstructing the drain. Then, the first thing you can do is to use a plunger. Make sure the drain is fully covered, pour some water and plunge. You can repeat this step until the drain is unblocked. If this doesn’t work, you can use vinegar and baking soda, then flush the drain with water. If you have some hair removal cream, it would be ideal. In the case that you can get to the hair with your fingers, take it all out. This is another great achievement when dealing with a blocked drain Melbourne. When none of these steps work, it is time to get to step three: using a drain snake. Push the snake until you feel that you are hitting the blockage. Then, pull it back and push again. This operation can be hard for an untrained individual. No matter how much you struggle, if the blockage is severe, you have no choice but to call a plumber who knows how to deal with a blocked drain Melbourne. A plumber can have all the right tools and the expertise for the job. Sometimes a structural defect may be involved, but there is nothing that a plumber can’t fix. High pressure water jetting can break down any fat or debris that could be blocking your drain. Among the tools used by a professional, you could also find electro-mechanical cleaning tools. If the problem persists and there is no obvious cause for the blocked drain, a camera can be inserted into the drain for understanding what the cause is and for finding a solution. The camera can also detect any damage done to the pipe system. 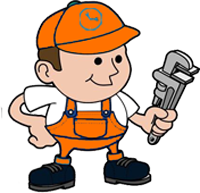 The best solution for any blocked drain Melbourne is calling a plumber.